On May 16, 2010, star-studded panel of judges chose Miss Michigan USA, Rima Fakih, as MISS USA 2010. She is the second Miss USA of Lebanese-American descent, after Julie Hayek in 1983. Fakih currently resides in Dearborn, Michigan. Born in Lebanon, Fakih grew up in Queens, New York, where she attended a Catholic school, St. John’s Prep. Her family moved to Dearborn, Michigan, in 2003. Though Shiite Muslim, her family celebrates elements of both the Muslim and Christian faiths. With Fakih’s victory, Michigan has provided two firsts in Miss USA pageant history; in 1990, Carole Gist became the first African American Miss USA, and Fakih is the second Arab American and the first of the Muslim faith to win the title. Posted: May 17th, 2010 under News. Lebanus is doing it again! 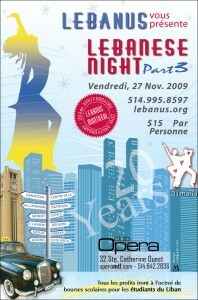 Their third edition of the famous annual “Lebanese Night” party is set once again at Club Opera on November 27th, 2009. 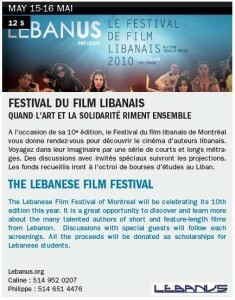 This is an event not to be missed in Montreal since it is one of the best for the Lebanese expatriates. The 15$ entrance fee will go at 100% for financing needy Lebanese students in Lebanon. 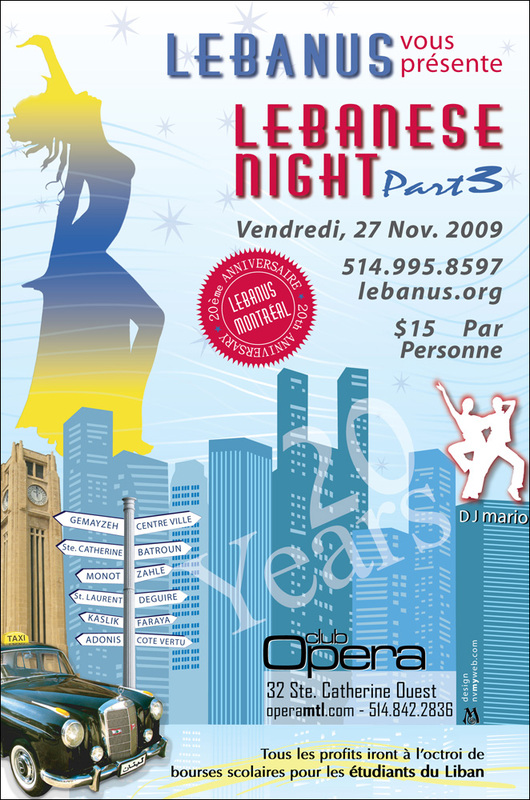 Lebanus will also be celebrating their 20th anniversary in Montreal during this event in which DJ Mario will be spinning. 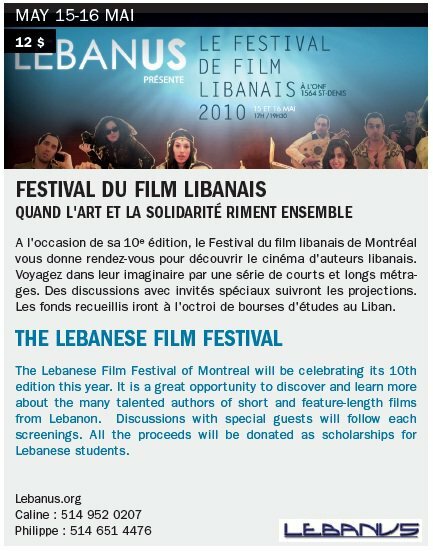 For those of you who don’t know, Lebanus is a cultural and humanitarian organization dedicated to financially assisting needy Lebanese students. 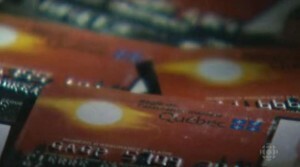 It was founded by four students in Paris and Lebanon in 1986, and three years later expanded to include Montreal. Posted: November 3rd, 2009 under Cultural.